help you to improve your wellness and achieve your fitness goals. Ginny found Pilates after pregnancy and felt that this type of movement was a healing source for her emotional and physical well-being. Pilates helped regain her strength postpartum, and she was able to inhabit her body in a new way. This experience generated a desire to teach Pilates and share these benefits with others. Ginny obtained her mat training from the YMCA, and started teaching in 2004. As her interest in the work grew, she forged her own path and pursued her comprehensive Pilates training through Balanced Body Education (BBE), and graduated in 2010. Ginny owned a small studio in Forest City, IA for a few years before moving to the Twin Cities where she joined Paragon as teacher and studio manager before moving into the role of Education Coordinator. Always an advocate of further education, Ginny continued her studies, obtained her Pilates Method Alliance certification, and joined Paragon’s Education team as a Master Instructor for BBE in 2016. She was one of the first Faculty trained by BBE to join the education staff. She is also a Master Instructor for MOTR. Ginny shares her knowledge in a genuine way, and her intuitive nature allows her to teach people of all ages and abilities. She particularly enjoys people who want to understand their bodies in a deeper way, and works side by side with them to achieve their wellness goals. She has completed coursework in pre & post-natal Pilates, Pilates for special conditions and osteoporosis. Besides Pilates, Ginny’s main loves are her husband and three children. Shannon first became introduced to Pilates while studying dance in college. After completing her undergraduate degree in Dance from the University of North Carolina at Charlotte she began her training through the STOTT Pilates Method. After earning her certification as a Level 1 Reformer and Mat instructor in 2008 she has since continued her training working with special populations including Pre-Post Natal, Athletic Conditioning, Intermediate Chair, and Total Barre™. In 2012, she earned her 200 hour Registered Yoga Training from the Green Lotus Yoga and Healing Center. Shannon loves being able to help guide others on how to find what works for their specific body. She teaches modifications or challenges within the repertoire so clients feel confident and capable in their body as they access the strength they have within. Kyle has a strong passion for teaching and is motivated to share the love of movement with others. She has been teaching dance and movement to people of all ages for over 15 years. Originally from Newman Grove, Nebraska, Kyle discovered Pilates as an undergraduate at the College of Saint Benedict and regularly took Pilates classes while getting her degree in Education. After graduation, she moved to the Twin Cities to pursue her love of movement education by teaching dance, but couldn’t stop taking Pilates classes. Her love of Pilates grew into a desire to teach Pilates to others and she completed her Balanced Body teacher training at Paragon in 2014. Kyle believes that Pilates can help everyone be a better version of themselves. As a dancer, dance instructor, and Pilates teacher, Kyle has seen vast improvements in alignment, flexibility, endurance and overall strength in her students and herself by using Pilates. 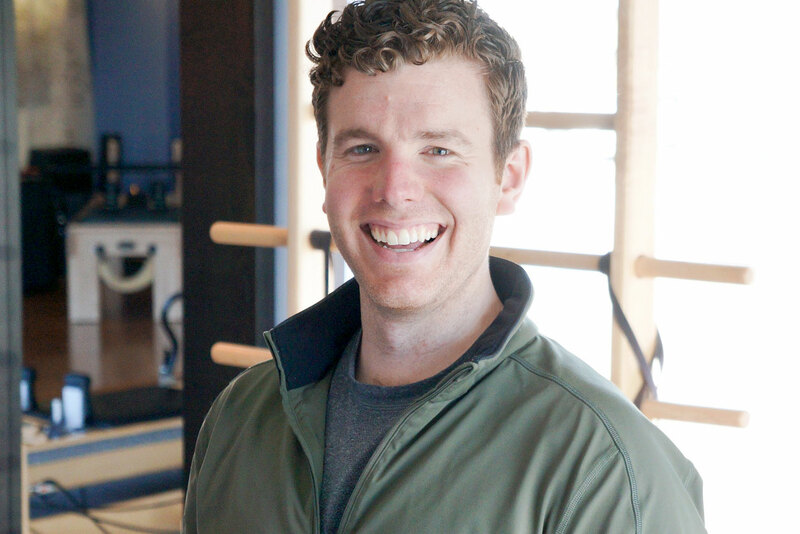 Matthew Hodge is certified as a Personal Trainer and Corrective Exercise Specialist through the National Academy of Sports Medicine and trained as a Pilates Instructor through the Kane School in NYC, the Y, and Balanced Body at Paragon. He also holds certifications in Kettlebells and working with older adults. Matthew graduated from the University of North Carolina School of the Arts and also studied at Otterbein College, majoring in Musical Theater and Dance. He is currently completing his prerequisites to become a Doctor of Physical Therapy. Since 2005 he’s worked with a variety of ages and skillsets in clients ranging from athletes to clients with special conditions. He is well equipped with modifications for all levels. Brenna Marlin first discovered Pilates while earning her BFA in dance and performance from the University of Milwaukee-Wisconsin in 2013. After moving to Minneapolis, she began pursuing her dance career and quickly realized that on days she practiced Pilates, her dance technique would improve! It was helping her do what she wanted to do better. This realization is what truly ignited her passion for Pilates and she began going through the Balanced Body training program at Paragon Pilates and PT in 2016. Brenna has now been teaching almost 2 years and has her full comprehensive certification. She has danced with several companies throughout the Twin Cities such as Threads Dance Project and Arena Dances. She loves using the Pilates method as a pathway to connect with other people to help improve their health, confidence, and overall wellbeing so that they can be the best version of themselves possible. This could range from walking up the stairs or making dinner to being a professional cyclist or dancer. 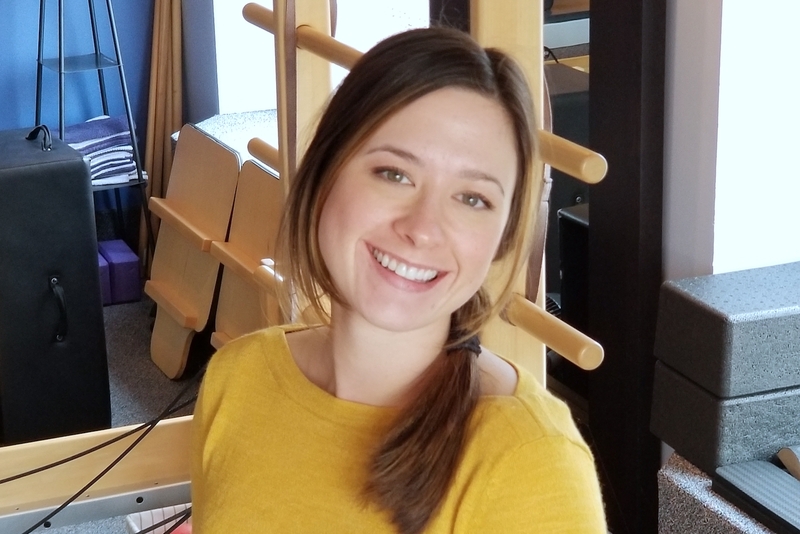 Brenna believes in meeting someone where they’re at as a person, learner and mover so they feel safe and open to delving deeply into their Pilates practice and finding more balance in their life and body.